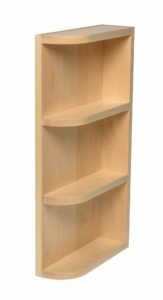 Corner shelves are made with 3/4” edgebanded plywood sides and 3/4” solid wood shelves. 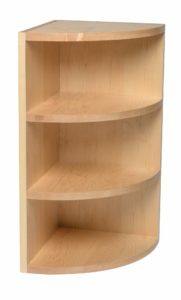 Order them to the size you want, and include the number of shelves. As always, if you don’t see what you want, send us your drawing.